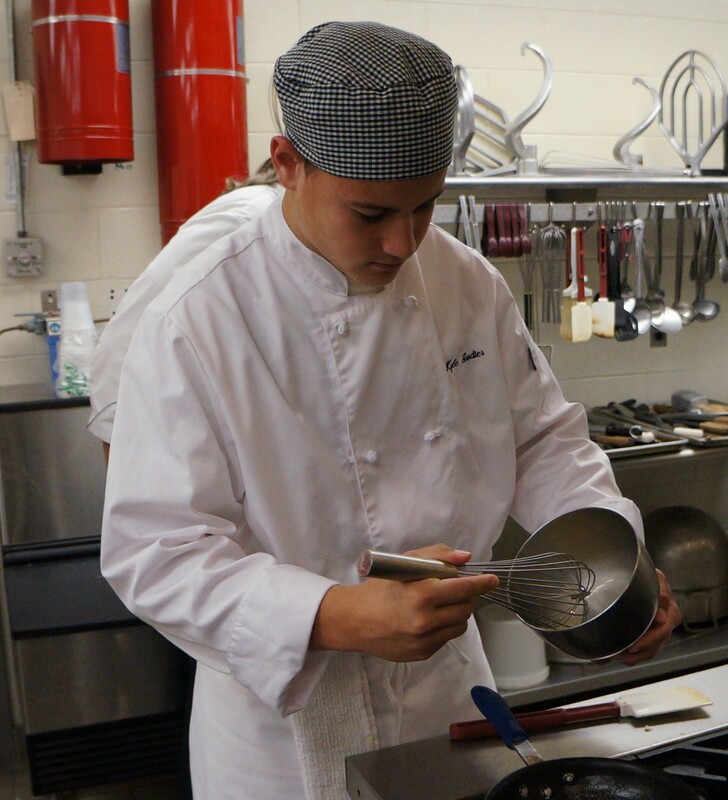 CAI-This course prepares students for entry-level positions in the culinary field and is dedicated to provide students with a working knowledge in basic cooking and baking skills and techniques, along with catering and business skills for successful employment. Students participate in operating a simulated restaurant and catering service. CAII-Builds on knowledge gained in Culinary Arts I. The program emphasizes occupational skills for employees in the culinary world. Employment opportunities include catering, hotel and restaurant cooking, and working as bakers. With approval and recommendation of the administration and teacher, students may spend time in actual work experience in conjunction with their studies. Students will prepare luncheons and dinners for various school and government functions to enhance their classroom knowledge. *ServSafe Food Handler Assessment is a comprehensive solution that delivers consistent food safety training to employees. This ensures the same food safety principles are delivered each and every time. Sections can be completed in approximately 10 minutes. Color photographs from the learner’s point of view helps reinforce food safety concepts. Cost to take the certification test is $25 but is paid for by Henrico Country Public Schools. * Cost for ServSafe Manager is $38 but is paid by Henrico County Public Schools. The median annual wage for chefs and head cooks was $42,480 in May 2012. The median wage is the wage at which half the workers in an occupation earned more than that amount, and half earned less. The lowest 10 percent earned less than $24,530, and the top 10 percent earned more than $74,120. About 13 percent of chefs and head cooks were self-employed in 2012. Some self-employed chefs run their own restaurant or catering business. The level of pay for chefs and head cooks varies greatly by region and employer. Pay is usually highest in upscale restaurants and hotels, where many executive chefs work, as well as in major metropolitan and resort areas. 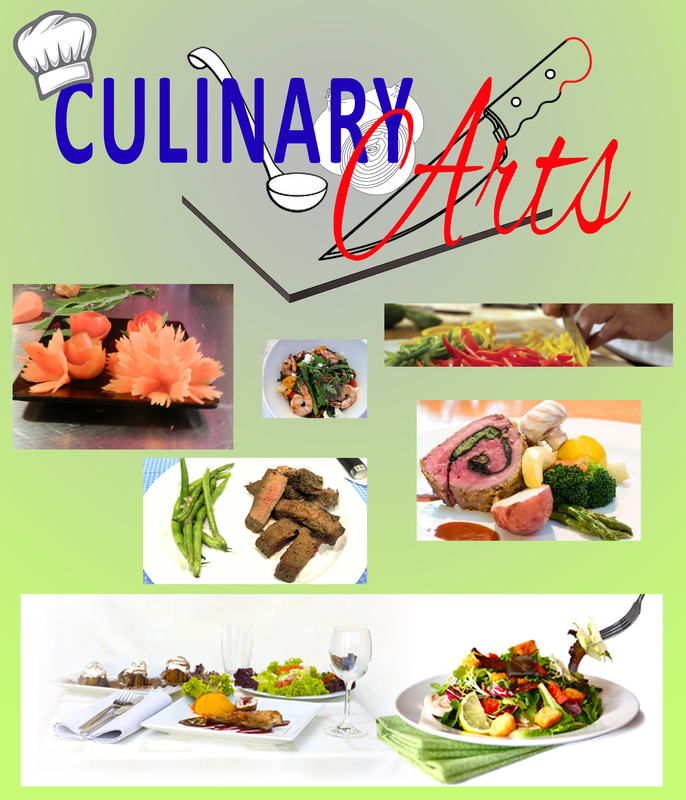 How do I get information about the summer culinary arts program? You can contact the school counselor at Hermitage Technical Center and they will be able to get you information on the class including if it has been filled. You can also get information at this link, https://henricocte.com/career-classes/areas-of-study/hospitality-tourism/culinary-arts/. If you have anymore questions you can email Brad Beazley at bmbeazle@henrico.k12.va.us. Thank you for your interest in Career and Technical Education.